SOLD! 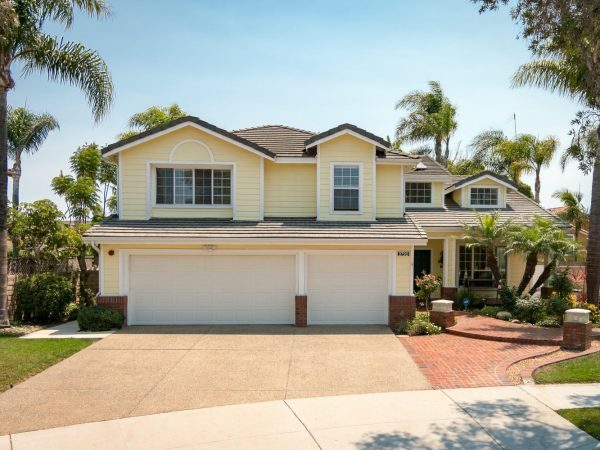 Beautiful California Cove cul-de-sac home in NW Oxnard! 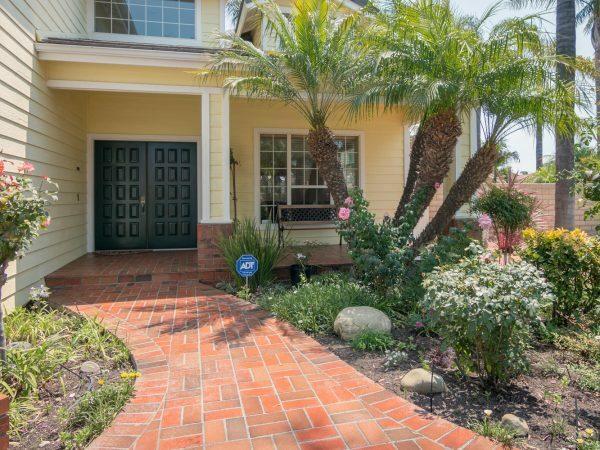 Front of this beautiful cul-de-sac home faces west. Note 3-car garage and big driveway for additional parking! 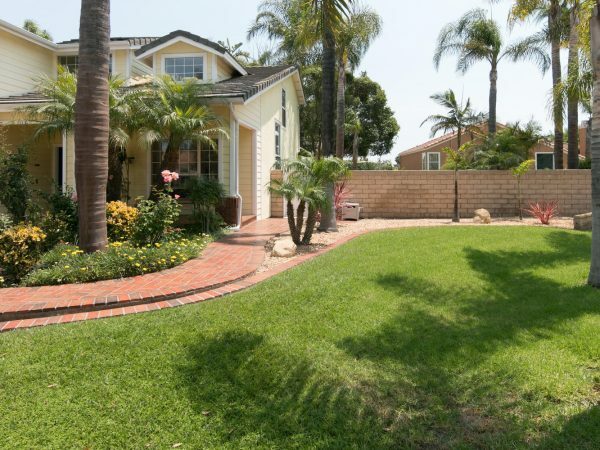 Front yard has incredible brickwork and landscaping, including a big front lawn on this home's wide lot. Gorgeous front brick walkway and covered front brick porch lead to double door access into the home. 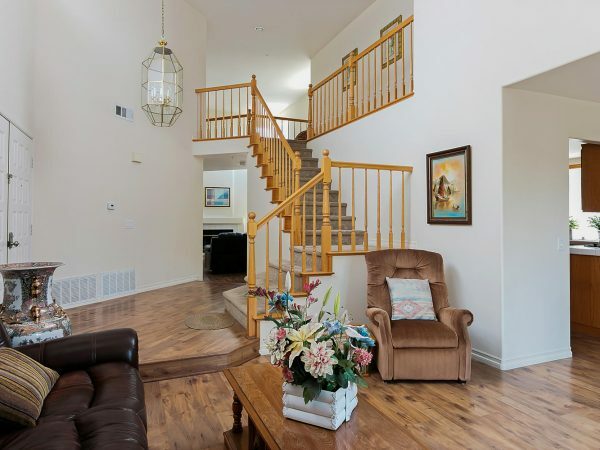 The home's elegant front entry under cathedral ceilings with the staircase and living room. View of the living room and entry from the large dining room. View from the entry to the living room and dining room. 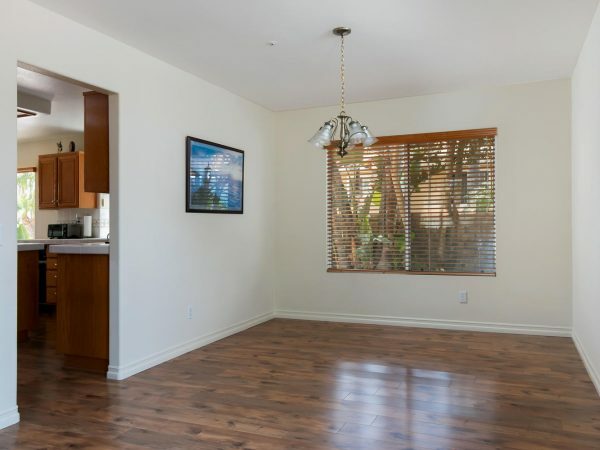 Large dining room off the living room and kitchen. 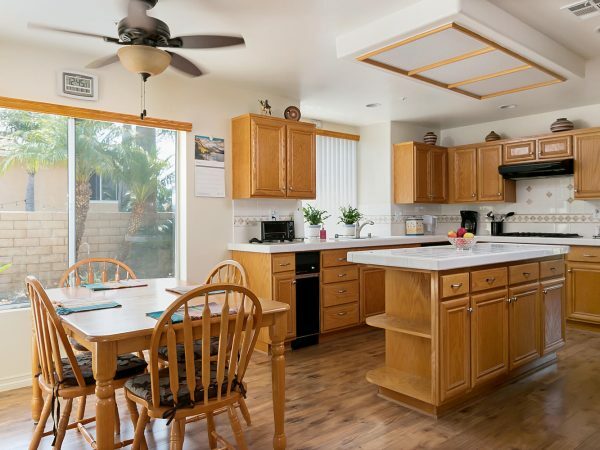 Island kitchen with 5-burner gas cooktop, oven, microwave, dishwasher, trash compactor, included Kenmore refrigerator, double sink, garden window & more. Breakfast area overlooking the adjacent family room. 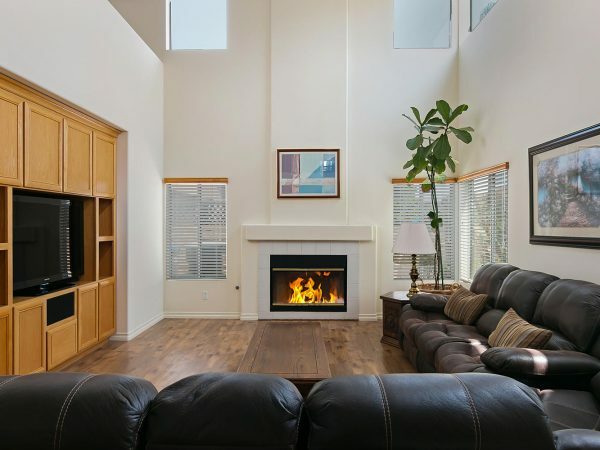 Family room with custom entertainment center, gas fireplace and 2 story ceiling. 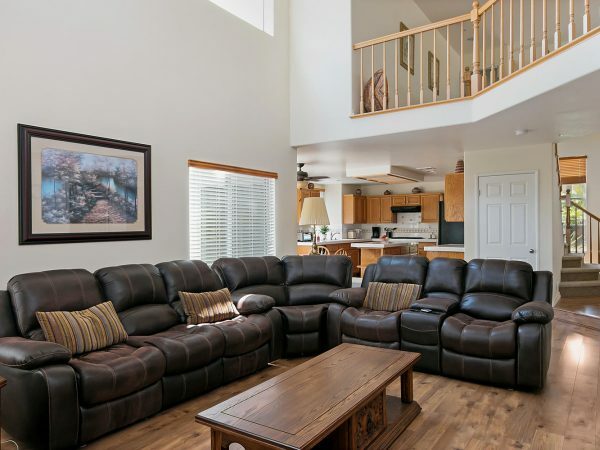 Family room with custom entertainment center, gas fireplace and 2 story ceiling looking toward kitchen, breakfast area, and upstairs hallway/catwalk. View from the top of the stairs, looking towards the master bedroom. 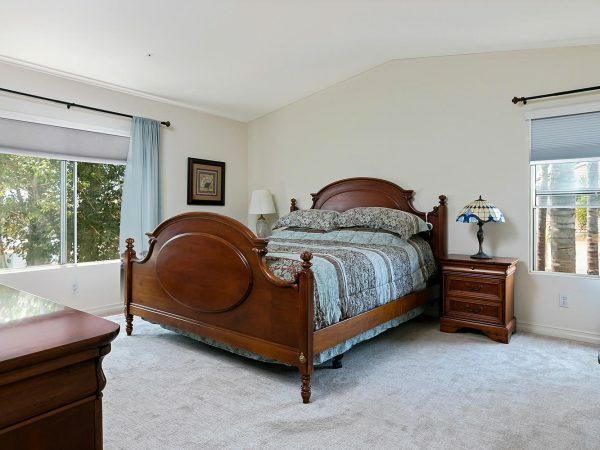 Private Master bedroom with high ceiling and a large bath suite. 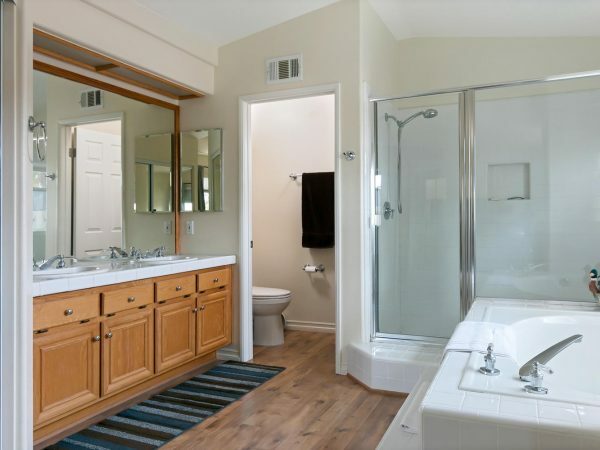 Master bath suite with double sink vanity, large tub & separate shower, TWO closets with double mirror doors, one walk-in. View from the top of the stairs looking towards the loft/den/office and the hallway linen cabinets. 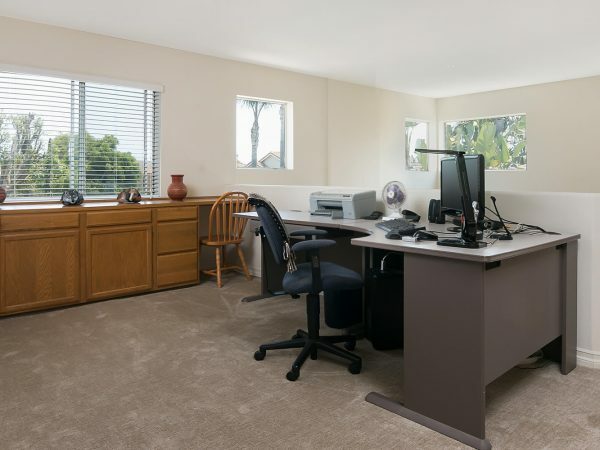 Loft/den/office with built in credenza/dual workstations. Office desk can be included. BR #2 has mirrored closet doors and overlooks the beautiful front yard. 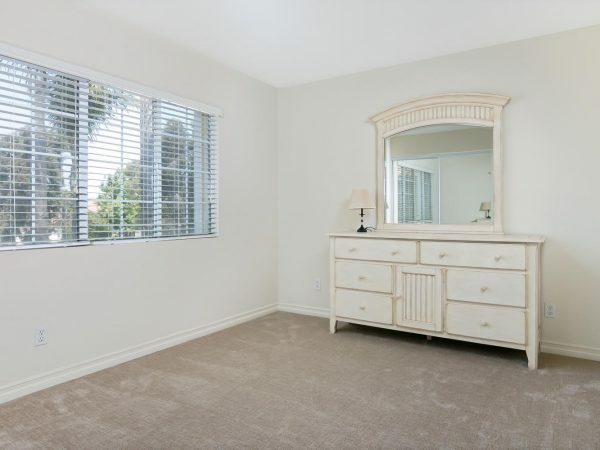 BR #3 has mirrored closet doors and overlooks the beautiful front yard. 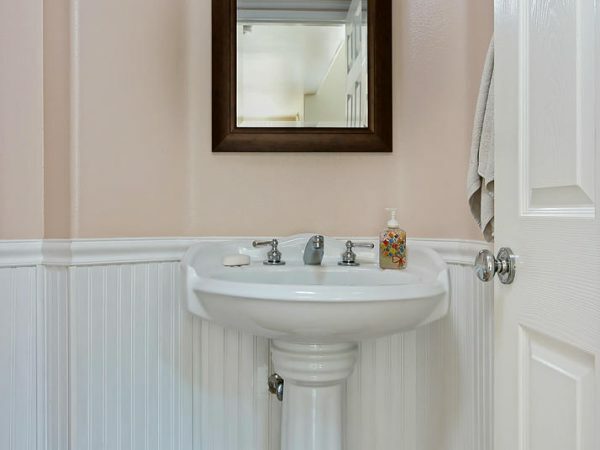 Upstairs hall bath with double sink vanity, shower/tub. 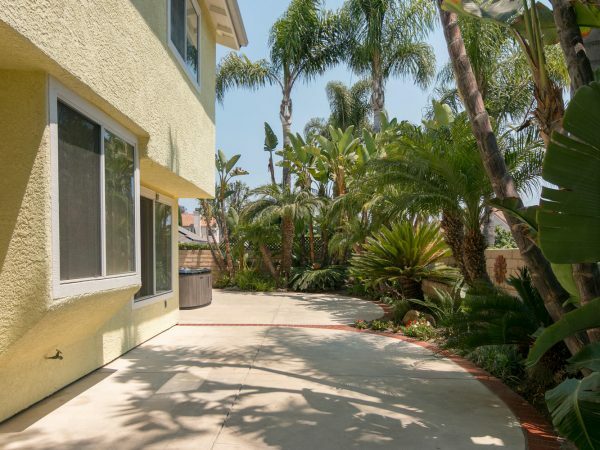 Home's extra wide backyard with patios, lawn area and extensive tropical landscaping. The spa is EXCLUDED from this sale. View from the home's lawn area toward the south side of the home and down the long backyard patio areas and extensive tropical landscaping. 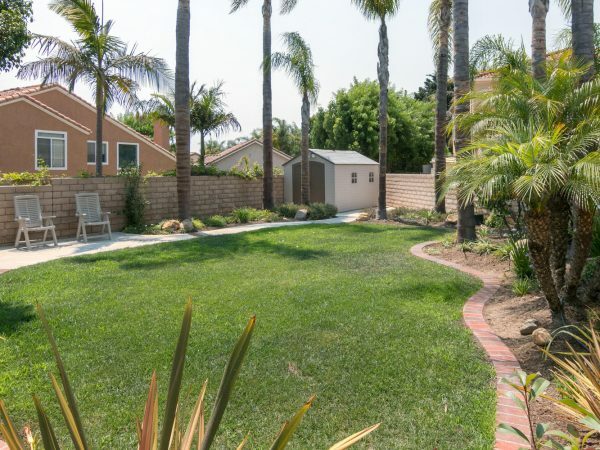 Home's extra wide backyard with patios, lawn area and extensive tropical landscaping. View to the included shed with power. SOLD & CLOSED WITH MULTIPLE OFFERS FOR ABOVE FULL PRICE! 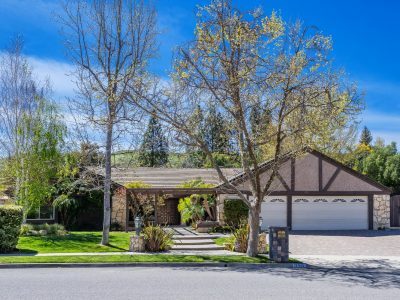 Beautiful 3 BR, 3 bath home with a unique extra-wide lot at the end of a secluded cul-de-sac in northwest Oxnard’s prestigious California Cove neighborhood! 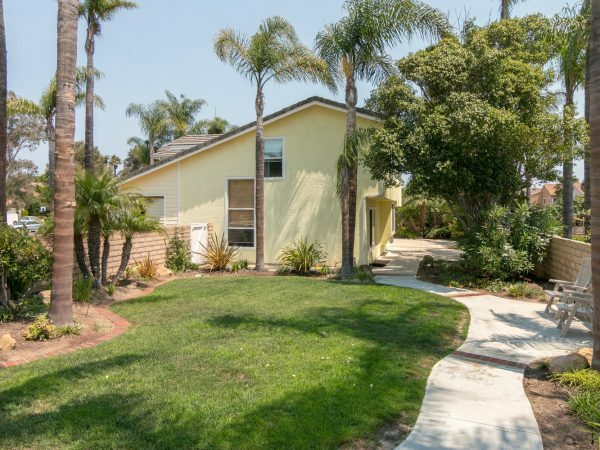 This beautiful bright & open home with gorgeous curb appeal has a wide, uniquely shaped lot and is located at the end of a secluded cul-de-sac in northwest Oxnard’s popular California Cove tract! From this lovingly maintained home’s lush tropical paradise landscaping with stunning custom hardscape & brickwork, to its attractive open floorplan with soaring cathedral ceilings, this home has it all and is perfect for family or adult living! 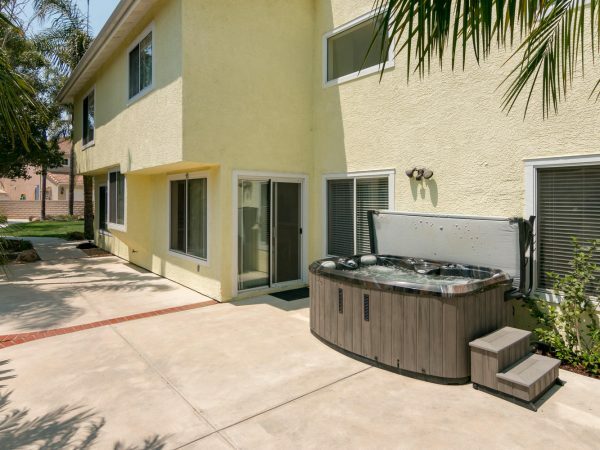 With its private end of cul-de-sac location and unique lot, this home features a big, wide backyard, perfect for large gatherings or quiet intimate enjoyment, featuring brick trimmed patios, extensive tropical landscaping, a large separate lawn area and a big included shed with power. The beautifully designed front yard, with extensive brick work and a large lawn area, is also amazing! From the big covered brick front porch, double doors open to the home’s elegant entry and staircase, as well as a bright living room, all under soaring cathedral ceilings! 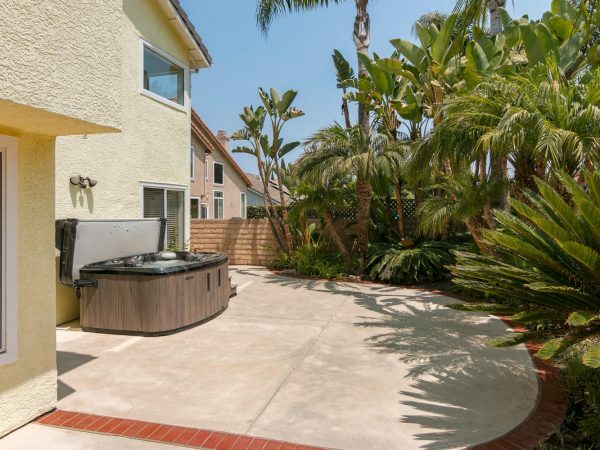 At the heart of this home is its bright, open kitchen, breakfast area and stunning family room, all overlooking the expansive, beautifully landscaped backyard. 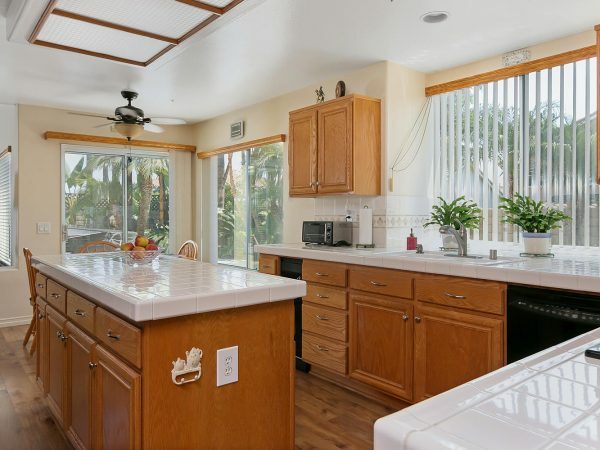 The inviting island kitchen features plenty of cabinet and counter space, a custom tile backsplash, 5-burner gas cooktop, built-in oven and microwave, an included Kenmore refrigerator, dishwasher, trash compactor, garden window and more! 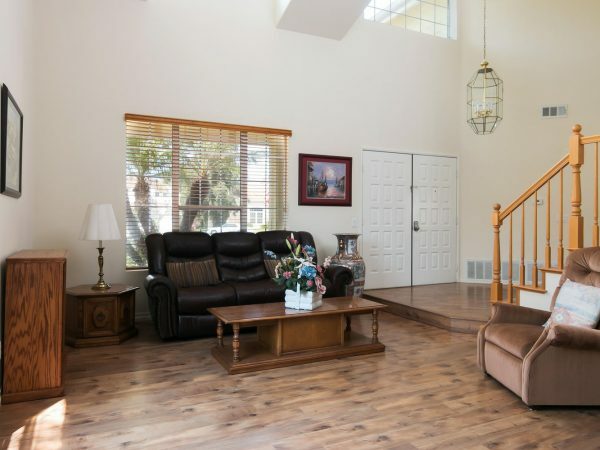 Adjacent to the kitchen is the breakfast/dining area, and a family room with a gas fireplace. This spectacular, bright family room has a soaring 2-story ceiling with plentiful windows and a custom entertainment center wired for sound! 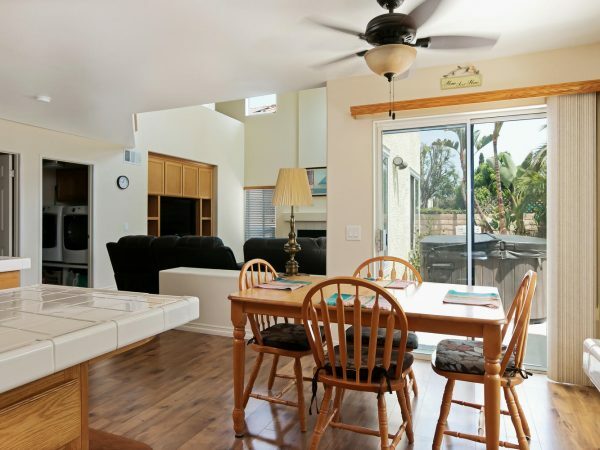 The home also has a separate large dining room conveniently located off the kitchen and living room! Rounding out the first floor is a nice central guest bathroom and an in-home laundry room conveniently located off the kitchen & family room! 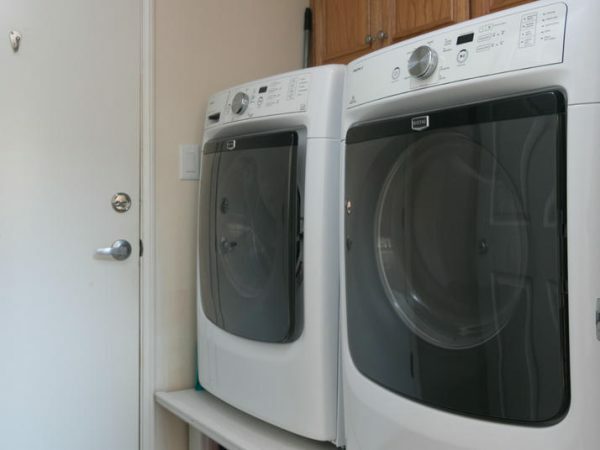 This laundry room has built-in cabinetry, an included front-loading Maytag washer and dryer, and direct access to/from the garage! 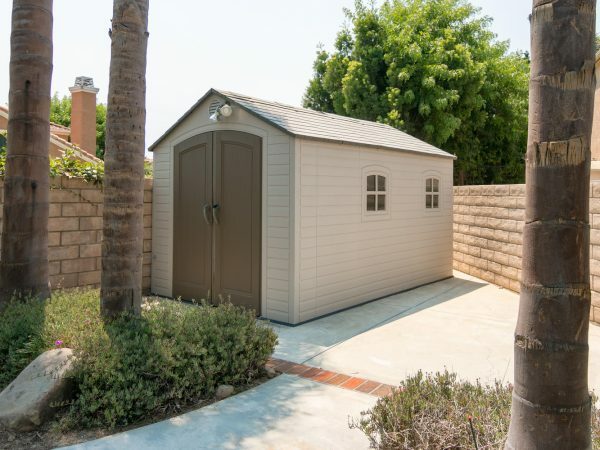 The attached 3-car side-by-side garage(s) with 2 garage doors features a separated 1-car bay, dual roll-up doors with automatic openers and extensive built-in storage! There is also a very large driveway for plenty of additional parking! 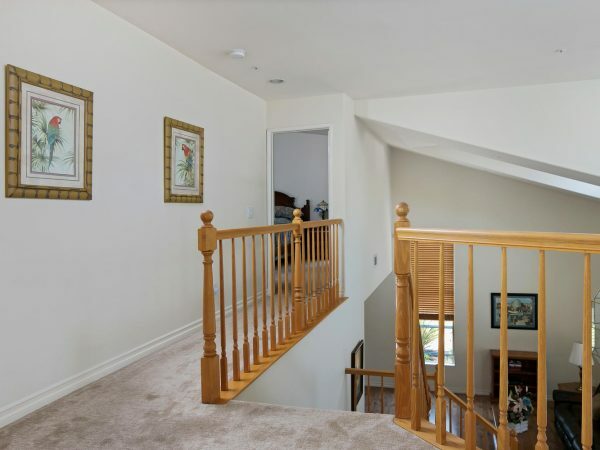 Upstairs, along with the home’s three bedrooms, is a bright, open loft/den/office that overlooks the family room below. 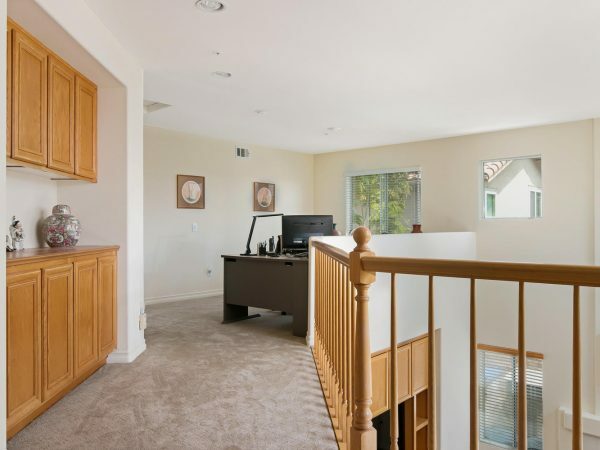 This large loft features a built-in wall-to-wall credenza including two workstations! 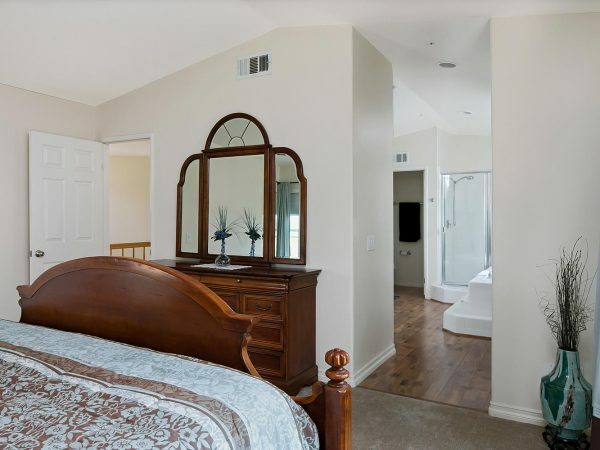 Separate from the other bedrooms, the private master bedroom suite with high ceiling overlooks the rear and side yards. 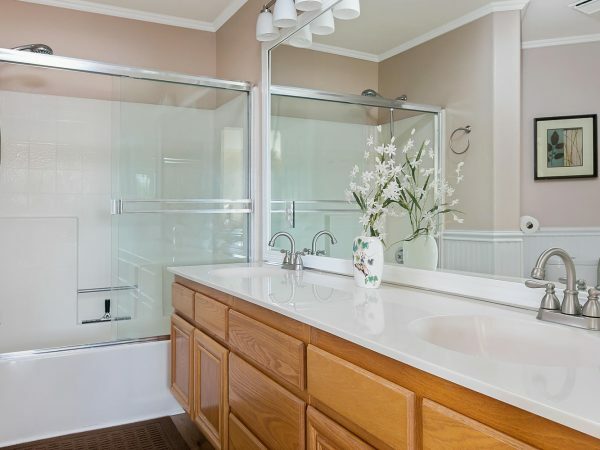 The master’s big bright bath suite features a double-sink vanity, soaking tub, separate glass enclosed shower and 2 closets with double mirrored doors, one a walk-in closet! 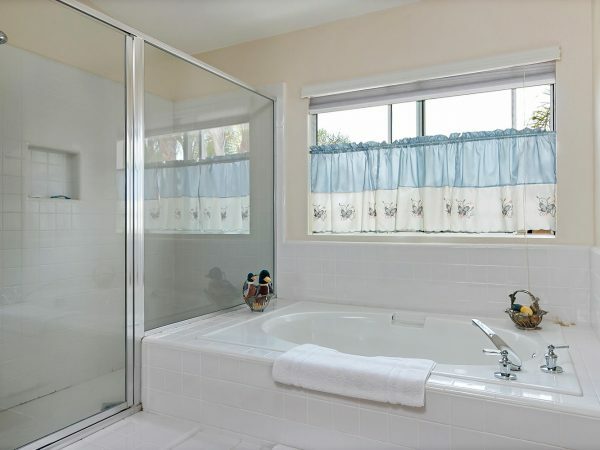 The upstairs second and third bedrooms share a hall bathroom with a shower/tub and also feature mirrored closet doors. 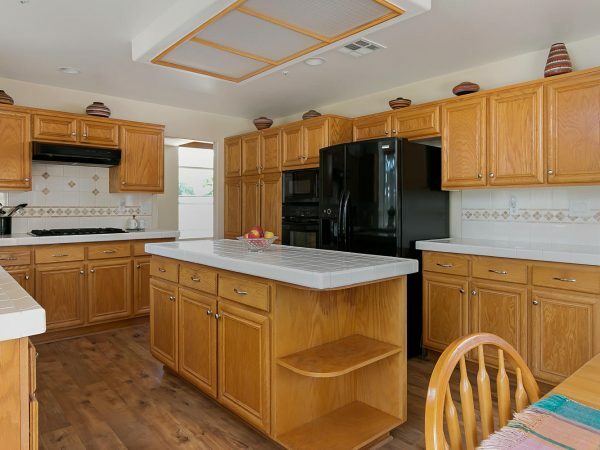 This amazing home also features newer wood laminate flooring and carpeting, central forced air heating, custom blinds throughout, a solar energy system and much more! 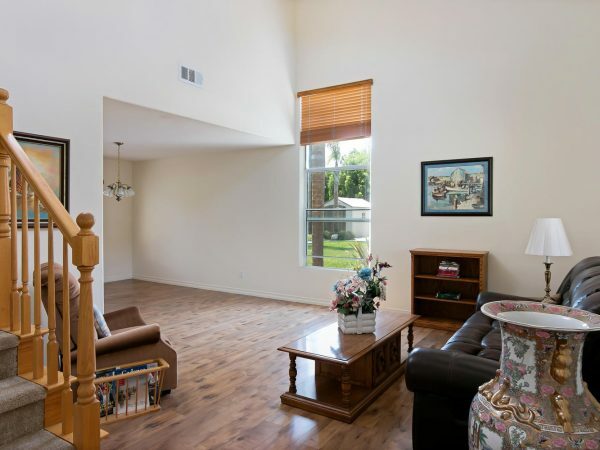 This home is close to schools, including Rio Del Norte Elementary, South Bank Park, restaurants & shopping (including the Collection at RiverPark), River Ridge and Victoria Lakes Golf Courses, freeways, transportation and much more! 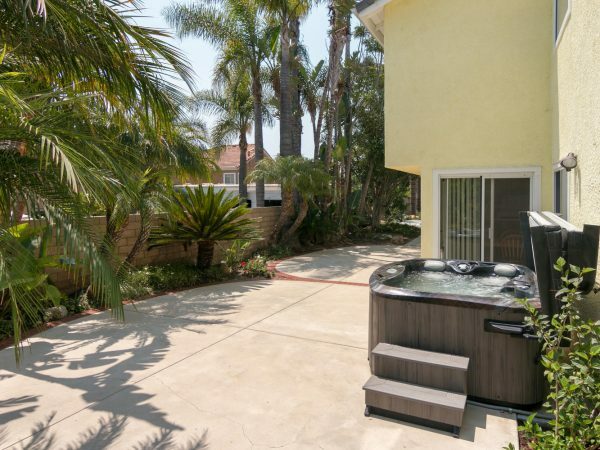 It is also just minutes from great local beaches, as well as Channel Islands Harbor, Ventura Harbor, and the neighboring cities of Ventura and Port Hueneme. 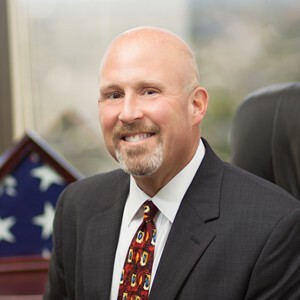 Situated on the Pacific coast between Malibu and Santa Barbara, Oxnard is the gateway to Channel Islands National Park, and is known for its mild climate, plentiful strawberry fields, and for being the home of the annual California Strawberry Festival. This amazing home will not last long! Solar power system is leased. Buyer to assume existing solar contract which is available for review. Buyer to investigate all to their satisfaction.